Co-Optimus - Editorial - MMO Co-Opportunities Volume XC: Werewolves, Dragons, and Faires - Oh My! The summer continues with more content updates and events for seasoned MMOs. For this month’s MMOCO round-up, we look at a new piece of DLC for Elder Scrolls Online, a new update for TERA, and two seasonal events for FFXIV. The Wolfhunter DLC lands today in ESO, bringing with it two new werewolf-themed dungeons. The March of Sacrifices dungeon has players hunting an Indrik through Hircine’s Hunting Grounds, competing against other NPC hunters. The Moon Hunter Keep dungeon tasks heroes with sieging the titular keep, fighting through monsters to face the ancient and powerful werewolf Vykosa. Both dungeons have Normal, Veteran, and Veteran Hard Mode, so players can pick the difficulty level which suits their party best. 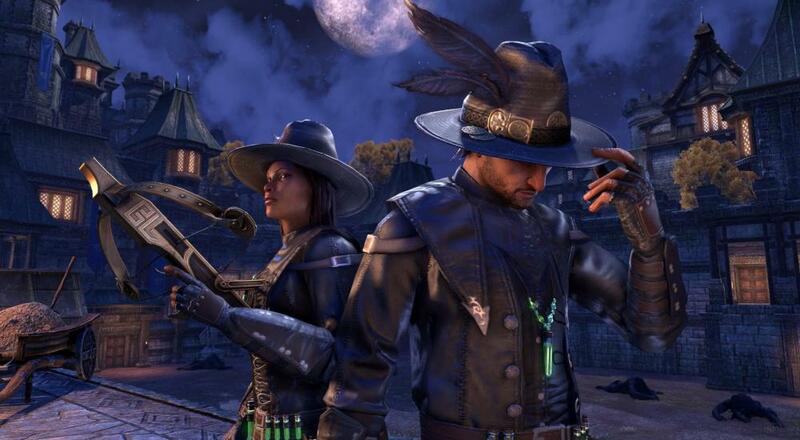 Most importantly, entering either dungeon immediately grants players the one-of-a-kind Werewolf Hunter Hat. Wolfhunter is out today (August 13th, 2018) on PC and Mac. It will be available later this month (August 28th) on Xbox One and PS4. All ESO Plus members receive it for free and those without that membership can purchase it through the in-game crown store. TERA’s next update, Guardians of the Sky, will be going live tomorrow directly after server maintenance. Take to the skies with two brand new Guardian Legion flight missions: Rhapsody of Wind and Search and Destroy. These missions will have players duck and weave through the air astride dragons as they collect power-up orbs and shoot at enemies. Three new dragon mounts will also be available for purchase in the TERA Store in both “combat” and “non-combat” versions. Gloom, Dusk, and Storm each have their own special passive regeneration (either MP or HP) when mounted. Their combat versions provide a crit chance buff after players dismount them as well as a “roar” skill that applies a damage vs. monsters buff. Page created in 0.6412 seconds.